I am thankful to be back to bread baking. We had taken quite a break, as my children were off of grains for awhile. But they are back now to including soaked, sprouted, and fermented grains in their diet. A few months ago we made a sourdough starter and added to it each day until we had enough dough to make five loaves of sourdough bread. It turned out lovely and delicious. After a couple of more batches, something went wrong, and we had to throw out the starter. I have not had the time to make a new starter. So a couple of days ago Cherished of God asked if she could make bread. I said yes, and she placed everything in our bread machine for soaking. Overnight we soaked spelt flour in kefir and butter. We add these ingredients in and set the machine to "dough", and it mixes it up into a nice ball of dough. After that cycle is done, I add in the mixture of honey, water, yeast, baking soda, and salt, and a little more flour. I set the timer to start sometime in the morning, so that the nice, fresh loaf will be ready and cooled by lunchtime. It really is a convenient way to have fresh, homemade bread for the next day when you don't have time to sit and knead bread dough by hand. 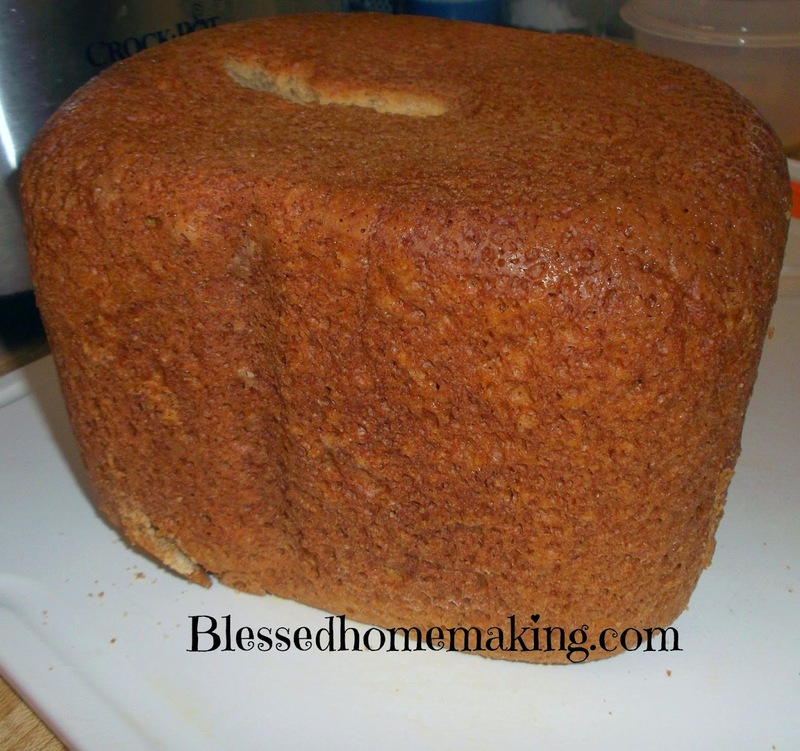 I am thankful for our bread machine. For lunch, the children will have sandwiches with peanut butter (with nothing but organic peanuts) and raw honey, plus some vegetables. They have really been enjoying their sandwiches. There is nothing like warm, fresh baked bread! Don't forget I'm having a giveaway for Mother's Book of Home Economics right now. Sounds like a good way to make bread.